Today, full and part-time faculty members working at Cerritos College nearly unanimously ratified a tentative agreement brokered between the union and the college district. The vote was 285 for and 2 against with 65% of the voting members responding. After more than nine months of negotiation, including three mediation sessions and a scheduled public fact-finding hearing, the faculty union (CCFF) and the Cerritos College district negotiation team reached a tentative agreement late on the evening August 15th. The new contract would give full-time faculty a 10% raise over three years. Part-time faculty, who are currently paid at the lowest hourly rate in the region, would gain even more, with many receiving a 16.5% raise over three years, an increase in the number of paid office hours they can hold each semester, and paid office hours for the summer. This agreement includes an academic freedom article, regularizes funding for department chairs and program directors, retains health and welfare benefits for full-time faculty and, by paying all instructors for office hours in the summer, makes sure students attending summer school have the same access to their instructors as they do during the regular school year. The agreement also includes a small stipend for instructors teaching classes with over 59 students and is seen as a first step in addressing the problem of large class sizes on the campus. This agreement will be brought to the Cerritos College Board of Trustees for their vote on September 21. 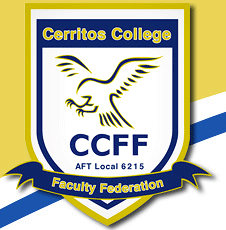 The Cerritos College Faculty Federation (CCFF) is the union representing almost 900 full and part-time faculty members at Cerritos College. It is one of the youngest labor unions in the California Community College system, founded amidst controversy in 2003. This agreement will bring the union closer to having a full contract with the district.